Colorful Umbrellas PowerPoint Templates And PowerPoint Themes 1012-Use this PowerPoint Template To represent Three Concepts in the Beautiful Manner. It consists of three colorful Umbrellas that are Green, Blue and Red. It is a captivating tool conceived to enable you to define your message in your Business PPT presentations.-Colorful Umbrellas PowerPoint Templates And PowerPoint Themes 1012-This PowerPoint template can be used for presentations relating to-"Colorful umbrellas, teamwork, business, marketing, security, success" Be a father figure to your young team. Give them the benefit of experience with our Colorful Umbrellas PowerPoint Templates And PowerPoint Themes 1012. Prepare appropriately with our Colorful Umbrellas PowerPoint Templates And PowerPoint Themes 1012. Download without worries with our money back guaranteee. We present our Colorful Umbrellas_PowerPoint Templates PPT Backgrounds For Slides 1112.Use our Teamwork PowerPoint Templates because,You can take it along a sure fire road to good profit. Use our Future PowerPoint Templates because,they will help you to organise the logic of your views. Use our Leadership PowerPoint Templates because,There are various viable propositions available to further your commercial interests. Use our Business PowerPoint Templates because,This template can project the path to sucess that you have charted. Use our Success PowerPoint Templates because,It depicts that Original thinking is the need of the hour.Use these PowerPoint slides for presentations relating to "Colorful umbrellas, teamwork, future, leadership, business, success" . 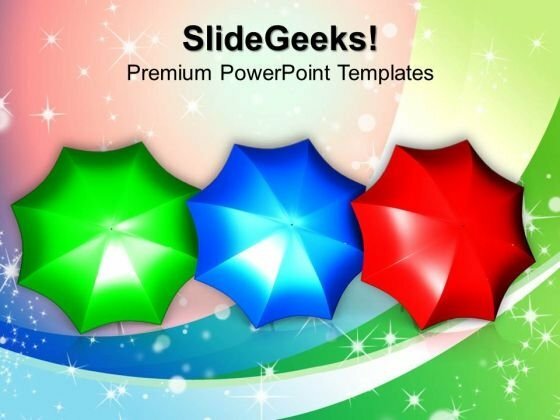 The prominent colors used in the PowerPoint template are Green, Blue, Red Go to any extent with our Colorful Umbrellas PowerPoint Templates Ppt Backgrounds For Slides 1112. Whatever the distance they will cover it with you. 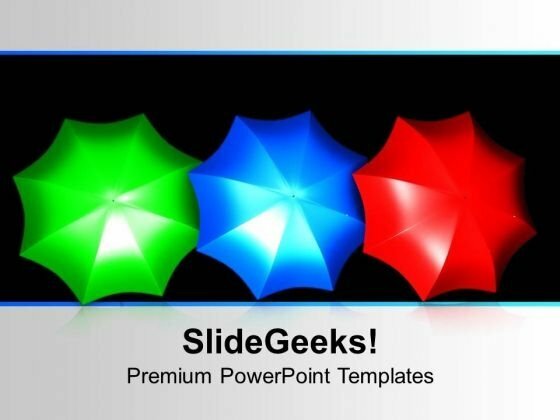 Our Colorful Umbrellas PowerPoint Templates Ppt Backgrounds For Slides 1112 are really captivating. The audience will not take their eyes off you.